We’d love your help. Let us know what’s wrong with this preview of I Am a Cat by Galia Bernstein. A simple housecat named Simon encounters some bigger cats: Lion, Puma, Panther, Tiger, and Cheetah. Each of the big cats has something to say about Simon not being “cat” enough. According to them, he just doesn’t measure up. He doesn’t have Lion’s mane or Cheetah’s spots. He doesn’t sleep in trees like Panther or climb mountains like Puma. He’s small and fuzzy, not big and A simple housecat named Simon encounters some bigger cats: Lion, Puma, Panther, Tiger, and Cheetah. Each of the big cats has something to say about Simon not being “cat” enough. According to them, he just doesn’t measure up. He doesn’t have Lion’s mane or Cheetah’s spots. He doesn’t sleep in trees like Panther or climb mountains like Puma. He’s small and fuzzy, not big and strong. But ultimately, Simon shows the big cats that he’s just like them . . . only smaller. To ask other readers questions about I Am a Cat, please sign up. Is I Am A Cat eligible for the 2019 Caldecott? The copyright date in the book is 2017? The publication information listed here says 2018. I love the book but don't want to include it in my Mock Caldecott unit if it is not eligible. 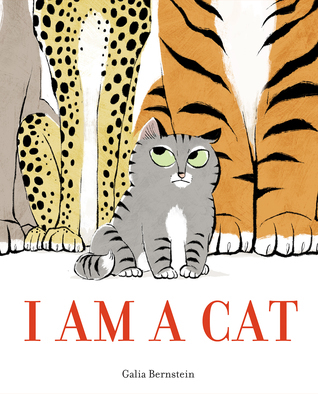 I Am a Cat came out in the US on Feb 6, 2018. The reason for the 2017 copyright, is that it sold translation rights to 10 languages before it was published and 3 more after (don’t ask me how that happened, I’m still in shock). As a resault, 3 countries - Australia, Japan and Korea - published it in 2017, but as far as the US is concerned, it’s a 2018 book. Recommends it for: Those who love beautiful illustrations and cat lovers. 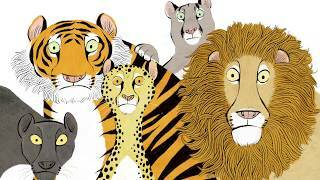 A young cat called Simon meets some other members of the cat family, a lion, a cheetah, a tiger, a panther and a puma. They do not think that Simon is a cat at first, but after comparing their whiskers, claws, eyes, and tails they realise Simon is a cat, only smaller. This is a really nice story. The illustrations are wonderful, really beautiful colours and lines, perfect design on each page, the close ups, the symmetry, gorgeous to look at! 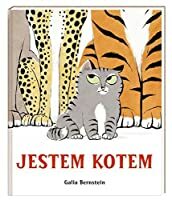 Highly recommended for those who love beautiful illust A young cat called Simon meets some other members of the cat family, a lion, a cheetah, a tiger, a panther and a puma. They do not think that Simon is a cat at first, but after comparing their whiskers, claws, eyes, and tails they realise Simon is a cat, only smaller. I wanna snuggle all these cats. Even if one ends up mauling me to death and then eating my carcass. How adorable! Oh, wat een heerlijk prentenboek. Práchtige illustraties, hartverwarmend, en een enorm leuk verhaal. Echte aanrader! This is a cute book about the things that make us different... but also the things that make us the same. Simon is just a housecat. When he tells the bigger cats (Lion, Cheetah, Puma, Panther, and Tiger) that he's a cat just like them, they laugh and proceed to point out all the differences. When Simon calls them out on the fact that they're not all the same themselves, the bigger cats then list all the ways in which they're similar. But those things go for Simon, too, and eventually the bigger c This is a cute book about the things that make us different... but also the things that make us the same. Simon is just a housecat. When he tells the bigger cats (Lion, Cheetah, Puma, Panther, and Tiger) that he's a cat just like them, they laugh and proceed to point out all the differences. When Simon calls them out on the fact that they're not all the same themselves, the bigger cats then list all the ways in which they're similar. But those things go for Simon, too, and eventually the bigger cats realize that he's one of them. The illustrations are really cute. The expressions on the big cats' faces when Simon proclaims he's just like them are pretty funny. There are also some nice pictures showing all the common traits that the cats share. It's a simple story, but with a nice message about how we have more in common with each other than we might think. 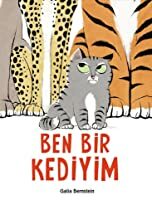 Şimdiye kadar gördüğüm en süper çizimlere sahip resimli çocuk kitabı olabilir. Bunun dışında, farklılıkların ortak noktasını birleştirme ve elbette bunu çocuklara aktarma konusunda müthiş başarılı. I read this book to my cat and he was not impressed, but I really enjoyed it. What is a cat? Is it the little kitty that you have in your house? Is it the tiger or the lion that you see at the zoo? Could a cat be a puma, a panther or a cheetah that you see in a picture book? Could it be all of them? Meet Simon, who claims to be cat. When Simon introduces himself to a bunch of wide-eyed fury animals who claim to be cats, they all laugh at him, they all think he is basically crazy. They try to point out to Simon all the ways that he is not like them. Simon doesn’t have a ma What is a cat? Is it the little kitty that you have in your house? Is it the tiger or the lion that you see at the zoo? Could a cat be a puma, a panther or a cheetah that you see in a picture book? Could it be all of them? Meet Simon, who claims to be cat. When Simon introduces himself to a bunch of wide-eyed fury animals who claim to be cats, they all laugh at him, they all think he is basically crazy. They try to point out to Simon all the ways that he is not like them. Simon doesn’t have a mane. Simon isn’t one of the fastest animals in the world, Simon can’t leap very high nor can he sleep in a tree. Oh, poor Simon. The more Simon listens to these animals, the more confused he gets. Simon realizes that not all the cats that he sees have all the traits that they are talking about. Lion then tells Simon how all of them have long tails and whiskers, how they all have sharp claws and teeth and now Simon starts to feel better because he is a CAT just like them! Now, this gets their attention as they look at tiny Simon and suddenly, Simon is accepted into their group. What a cute and fun story. I really liked the illustrations that accompanied this novel. The eyes on the cats were done wonderfully and their expressions were animated and helped tell the story. I thought the fonts that were used were fantastic and brought the story to life. A fantastic novel, one you should definitely check out! Simon considers himself a cat, but Lion, Cheetah, Puma, Panther, and Tiger argue that he is not. 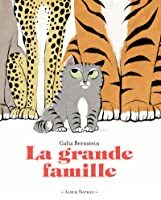 A fun little story that teaches quite a bit about the cat family, with expressive illustrations. I have a confession to make. I... am such a cat-lover. They are the most darling critters both as domesticated pets and larger wild cats. So this book makes me so happy, especially given the adorable illustrations. For all cat-lovers whether big or small, this is a great book I recommend to all. This book is so good. I’m being 100% serious. The artwork is both gorgeous and incredibly cute, and the story is laid out with a fantastic sense of comedic timing that’ll entertain both kids and adults. Simon is an adorable protagonist, and the story’s message—don’t judge someone on appearances—is a great one. I can foresee this becoming a beloved classic. The story is simple, universal, and expressive, with just the right amount of humor and a subtle anti-prejudice undercurrent. I loved the classic quality of the illustrations, reminiscent of 1960's Disney films like 101 Dalmations. And Simon the cat is a supremely sensible, lovable character. A little gem. Simon is a domesticated kitten who encounters other members of the cat family. He introduces himself to a lion, panther, tiger, cheetah, and puma. How can they all be called cats? All of the other cats are incredulous that Simon would call himself a cat! Young children will be drawn in to Simon's delightful story as Bernstein skillfully points out the differences and similarites between members of the cat family. Her illustrations are wonderful! This is a great book for parents to read to their yo Simon is a domesticated kitten who encounters other members of the cat family. He introduces himself to a lion, panther, tiger, cheetah, and puma. How can they all be called cats? All of the other cats are incredulous that Simon would call himself a cat! Simon is a cat, but the big cats disagree. I'm biased. I love cats. The expressions on all the cats were very well drawn indeed. Entertaining and educational on the surface, but then it's also about not letting others get you down because they don't fit *your* definition of what this-or-that is. Usually, they're wrong, anyway. Adorable! The spreads with all the cats together are the best! 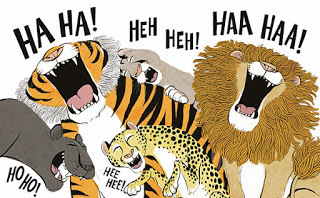 What happens when Simon, a normal house cat, tells a group of big cats from around the world that he is just like them? They are stunned, and then laugh hysterically! Lion, Cheetah, Puma, Jaguar, and Tiger each go on to tell Simon how they differ and how Simon is not "cat" enough. The lion has a mane and roars, Simon doesn't have a mane, nor can he roar. The cheetah can run faster than anyone in the world; can Simon outrun her? Doubtful. Simon goes on to show the big cats that although he is small, they are similar in more ways than expected. This picture book celebrates differences as well as similarities and goes to show that we are all more similar than we think. Meow! cats are the best. Super cute! A fun way to teach kids about different cats, but also how they're from the same family. Simon reminds me of my cat, Indy. Illustrations are really cute, too. I know at least five cat lovers off the top of my head who would find this picture book adorable. the illustrations are fantastic and expressive. Bless chubby, tenacious Simon! An absolute delight! The illustrations and storyline remind one of the classic animated shorts from The Wonderful World of Disney. Share this one with cat lovers young and old! Why are none of the cats specifically gendered as female? Lol. What an omission when talking about difference. Hello, friends! 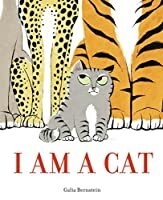 Our book today is the silly and simple I Am A Cat by Galia Bernstein, a delightful tale of what makes us different and what makes us the same. A smallish, tubby gray housecat meets with a group of big cats (consisting of a lion, a cheetah, a puma, a panther, and a tiger), and introduces himself as one of their own. The five beasts stare a moment, then break into uproarious laughter. They all insist that the little tabby can’t be a cat for various reasons: Lion claims that he must have a mane, Cheetah notes his lack of sleekness and speed, Panther says he must come from the jungle, and so on. But Cat points out a flaw in this logic – none of them share these traits, so how does that prove that they are all cats? The big cats explain that while they may have many differences, some things are the same, such as their rounded, perky ears and long whiskers and claws. Cat shows them that he has these things as well, just smaller. And after a moment’s consideration, the big cats realize their mistake. “You’re a cat!” they proclaim, and everyone spends the day pouncing, pawing and, of course, napping together. Cheerful and marvelously fun. 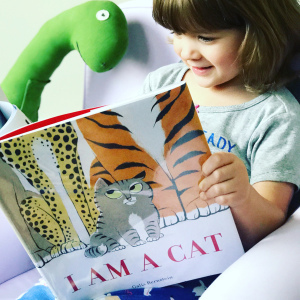 Any child who is a fan of cats – big or small – will love the way the story connects housecats to their larger and more wild brethren. There’s also a nice, subtle lesson to be learned in looking for the things that unite, rather than divide, us from others. The illustrations are adorable, realistic enough to show the natural similarities in the cats yet cartoonish enough to make them cuddly and non-threatening. The length was good and JJ enjoyed it, so we can definitely call this one Baby Bookworm approved! Ik ben een kat! Echt waar! 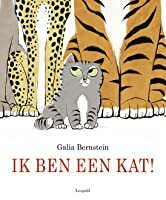 Een heerlijk kat-tastisch boek over een kleine kat en een stel grotere katten. Alleen de kleine kat wordt, door de grotere, niet gezien als kat. Maar ja, die katten hebben ansich al een vreemd beeld wat een kat nou is. Ik moest heerlijk lachen om onze katten en wat zij nou als eerste vonden dat je als kat moest hebben. Van manen tot een zwarte vacht. Gelukkig is onze kleine kat niet op zijn bekje gevallen en spreekt hun dingen meteen tegen! Wat daarna gebeurd, tja, dat z Ik ben een kat! Echt waar! Ik moest heerlijk lachen om onze katten en wat zij nou als eerste vonden dat je als kat moest hebben. Van manen tot een zwarte vacht. Gelukkig is onze kleine kat niet op zijn bekje gevallen en spreekt hun dingen meteen tegen! Wat daarna gebeurd, tja, dat zul je moeten lezen, maar geloof me, je zult heerlijk lachen. Wat is dat kleine katje toch stoer, hij is een kat, en dat zal hij ook laten weten ook! Totaal niet bang voor die veel te grote katten. De illustraties zijn ook zeker erg leuk gedaan, ik vond de grotere katten prachtig getekend, en onze kleine schat was enorm lief. Dus zeker een aanradertje als je een leuk en grappig kattenboek zoekt. How can you not love Simon the gray tabby cat! Even on the cover of Bernstein's book, Simon sits in front of a puma, leopard and puma like he's the boss. He's got cat-itude. He's not going to let these predators keep him from joining in, even when they try to dissuade him that he is not a cat like them. They laugh at him at first and then each one explains what makes them a cat. But Simon is very clever. He understands how the cats share the same traits, but he also sees the difference that make How can you not love Simon the gray tabby cat! Even on the cover of Bernstein's book, Simon sits in front of a puma, leopard and puma like he's the boss. He's got cat-itude. He's not going to let these predators keep him from joining in, even when they try to dissuade him that he is not a cat like them. They laugh at him at first and then each one explains what makes them a cat. But Simon is very clever. He understands how the cats share the same traits, but he also sees the difference that make them each unique as well. Galia Bernstein was born and raised in Israel. She started her career as a designer and illustrator for the Israeli Army’s magazine. She later studied illustration at Parsons School of Design at the New School and now works as a full-time freelance illustrator. She lives in New York City.